During their heyday (roughly from the 16th to 19th centuries), highwaymen were considered a special type of criminal, known for their good manners, noble bearing, and, in some cases at least, their scrupulous moral values. Many have since attained a kind of folk hero status, but it wasn’t uncommon for highwaymen to be revered in their own day too. This is hardly surprising, of course, considering these gallant rogues on horseback were acting out the largely suppressed fantasies of the downtrodden underclass; in many cases, they even stole from the rich to give to the poor. They also tended to die pretty young, many before they were 30. There were dozens of iconic highwaymen, and even some highwaywomen. These are just 10 of the more noteworthy examples, including some of the most notorious, unusual, or cherished from around the world. Louis Dominique Garthausen, aka Bourgignon, aka Cartouche, was the embodiment of the dashing rogue. Born to a German mercenary-turned-French wineseller, he was equal parts rapacious hooligan and refined, sybaritic gentleman. By his teenage years, he was already in charge of a small band of thieves and by his twenties was leading the Cours des Miracles gang, pillaging wealthy travelers along the Versailles-to-Paris route. Once, disguised as a wealthy marquis, he actually robbed a police lieutenant of the bounty that was on his own head. Besides wealth and prestige, only two things mattered to Garthausen—one being his reputation as a crowd-pleaser. He was, for example, well known for his strong sense of moral justice, even (or especially) when breaking the law. Robbing private mansions and distributing spoils to the poor was all in a day’s work for Cartouche; more impressive were his poetically good deeds, like saving a bankrupt merchant from suicide by paying off his creditors and then promptly robbing back the money. He also pleased crowds at carnival time by pushing a cart full of police effigies and openly whipping them for the parade—a satirical protest of the police’s own custom of publicly punishing criminals. He would no doubt be pleased with how he’s gone down in history, immortalized in the works of William Thackeray and Nicolas Grandval, and remembered as a folk hero in France—a bodice-ripping villain with a heart of gold. He even got his own movie, the swashbuckling comedy caper Cartouche in 1962. The other thing that mattered to Garthausen—perhaps above all—was loyalty, or honor among thieves. Following his capture (or recapture, having unsuccessfully tunneled out of the first dungeon he was in), he was prepared to undergo the most atrocious tortures to protect the names of his associates. Only when it came to the very moment of his own execution, having seen from the scaffold that no-one was coming to save him, did Garthausen meticulously list each and every one of his “friends” and their crimes to his prosecutors. He was then beaten to death on the breaking wheel and his corpse was displayed for the public. Nicolas Jacques Pelletier was the first person executed by guillotine, a device specifically designed to be as humane as possible at the time. Actually, the guillotine was still in development when Pelletier was condemned to die and it took the intervention of the judge, who apparently pitied the highwayman, to hurry its construction up “in the name of humanity,” and to spare the “unfortunate man … for whom each moment that prolongs his life must be a death,” the agony of extended waiting. Or perhaps he was just eager to see Pelletier killed. For many years, the bandit had been terrorizing the Parisian elite, seemingly hellbent on becoming the richest man alive. And for many years, he also managed to evade capture—living longer than many highwaymen to the ripe old age of 36. However, the law finally caught up with him on the night of October 14, 1791, when cries in the street alerted the authorities to his whereabouts. Having violently attacked, robbed, and possibly killed a man on the rue de Bourbon-Villeneuve, Pelletier was chased down, arrested, and quickly charged for his crime—sentenced to death in December. But it wasn’t until the following March that the guillotine was ready for use. Like other highwaymen, Philip Twysden led a double life; but his was especially incongruent. Not only was he an Oxford-educated doctor of civil law, he was also the Bishop of Raphoe in Ireland, having been nominated to the role by none other than King George II himself. It is thought that he turned to a life of crime after running out of money in London, effectively bankrupting his family. But he wasn’t very good at it. In fact, he was shot and killed by the very first person he attempted to rob—ironically a medical doctor. The night before, Twysden is said to have removed the charge from the doctor’s guns—only for an interfering patient to point it out to the man. When the masked bishop held up the doctor the following night, boldy assuming him to be defenseless, he was shot down himself and his identity was revealed. Nevertheless—presumably to uphold the King’s reputation for infallibility, not to mention the Church’s virtue—the official cause of death was given as “inflammation,” and Twysden’s crime was covered up. Born into poverty in Spitalfields, London, Jack Sheppard actually started out on the straight and narrow, becoming an accomplished carpenter by the age of 20. But he soon fell in with criminals and prostitutes, frequenting the taverns of Drury Lane and developing a taste for the lifestyle. It wasn’t long before he fell in with highwayman Jonathan “Blueskin” Wild and his gang, and Sheppard’s career as a criminal took off. Between 1723 and 1724, he was jailed on five occasions for robbery and escaped on all but one—thanks in part to his knowledge of carpentry. The first time, he removed the bars from a window and escaped with his lover “Edgworth Bess” on strung-together sheets and blankets. The second time, Bess and another prostitute, Moll Maggot, helped him escape by squeezing his slight 5-foot-4 frame out between iron spikes and into a lady’s dress. Another time, he simply slipped out of his handcuffs and lockpicked or forced his way to freedom. His exploits were so daring and dramatic that he was rapidly embraced as a hero—particularly by London’s working classes. Even Daniel Defoe, the author of Robinson Crusoe, became a fan of the young rascal and ghostwrote the highwayman’s biography. In fact, when Sheppard was finally brought to the gallows in 1724, aged just 22, Defoe and his publisher, Appleby, had a plan to help him escape. Believing it possible to survive 15 minutes hanging by the neck, they intended to retrieve his body as soon as the crowds had gone. But, unfortunately, Sheppard’s massive popularity was also his final undoing. His execution was unexpectedly well attended by some 200,000 people, including weeping women in white who threw flowers on the ground for the scoundrel. And when the trapdoor swung open beneath his feet, his adoring crowd jostled forward to pull on them, ensuring as quick and painless a death as possible. By day, Kentuckian James Ford maintained a squeaky clean public image as a pillar of the community, known for his civic leadership roles and various business accomplishments. By night, however, he led a shadowy gang of river pirates and highwaymen, plotting from a remote wilderness hideout known today as Illinois’ iconic Cave-in-Rock. Far from being a gentleman rogue, Ford actually had dealings with John Hart Crenshaw, an illegal slaver who kidnapped free blacks from the North and sold them back into slavery in the South. He also reportedly leased land to the notorious Sturdivant Gang of counterfeiters. But Ford himself is far better known for hijacking flatboats on the Ohio River, even going so far as to steal the farm goods entrusted to his own ferry service. Perhaps fittingly for a criminal who outwardly represented “the Man,” it wasn’t the authorities who eventually brought Ford to justice but a band of unknown vigilantes who assassinated him in 1833. In 19th-century Australia, highwaymen were known as “bushrangers,” spending much of their time in the bush and preying on passers-by. Many, like Alexander Pearce, were convicts escaped from British penal colonies, while others, like Ned Kelly, were descended from them. Yet others initially came to Australia in search of gold, only to get disillusioned with the hard graft and slim pickings of prospecting and turn to a life of crime. One such man was Sam Poo, the only Chinese bushranger in all of Australian history. A dark and enigmatic character, Poo lived in isolation at his camp in the bush, practicing his shooting on an old tree stump. And, unlike many other highwaymen and bushrangers, of whom flattering photos or etchings abound, only one oversaturated and sinister-looking photo of Sam Poo (allegedly) has been found. Ward died of his wound shortly afterwards and a manhunt was launched in response. Cornered for a second time, Poo again shot the authorities out of nowhere, narrowly missing the Aboriginal tracker who had helped to find him. This time, however, Poo was shot, arrested, and forced to stand trial. Before the year was out he was hanged at Bathurst jail. The only one on this list whose fate remains unknown is also one of only two women. Although originally sentenced to death for highway robbery (of little more than a silk bonnet from a spinster) in 1786, Mary Broad was deported to Australia instead—one of the First Fleet of convicts to be shipped to the new colony when she was just 21-years-old. There, she married fellow convict William Bryant and became one of the first escapees. With seven others, she and her husband and children stowed away on the Dutch trading ship Waaksamheyd in March 1791. And although they didn’t get far from Australia, their voyage took them thousands of miles around the coast from the Great Barrier Reef to the island of Timor—a 69-day trip in total. Posing as shipwreck survivors and attempting to settle in the Dutch colony, it wasn’t long before they were outed as convicts and summarily jailed at Batavia (present-day Jakarta, Indonesia). It was here that Mary’s husband and son tragically succumbed to disease. Mary and her daughter Charlotte (ironically the name of the ship that took Mary to Australia in the first place) were sent back to England, but only the mother survived the voyage. Upon her arrival back home in June 1792, Mary was immediately imprisoned. But less than a year later, still in her twenties, she was fully pardoned and freed—thanks in no small part to the intervention of respected Scottish laird and writer James Boswell, who was apparently captivated by her tale. 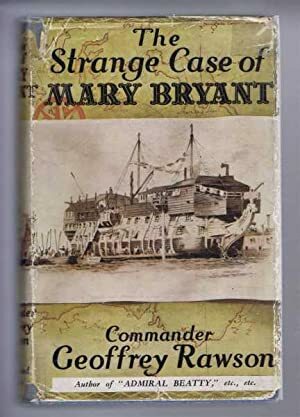 Little is known about Mary Bryant’s life after that; however, it is understood that she returned to her family in Cornwall, and to her life before stealing that fateful silk bonnet. Katherine Ferrers was no stranger to wealth and luxury. Born into nobility, she became the sole heir of her grandfather’s fortune at the age of 6 following the death of her father. And when her mother died some years later, she was left alone with her servants in her spacious childhood home—the imposing Markyate Cell near Luton, England. Although she was married off young to her step-brother Thomas Fanshawe, her husband spent much of his time away, fighting on behalf of the king in the English Civil War. And she was apparently involved with another man anyway—the working class highwayman Ralph Chaplin, with whom she is said to have joined forces. Although historians disagree on whether he really existed, it’s easy to imagine a bored, lonely heiress getting her kicks with a known criminal. But even if he did exist, her enduring reputation as the “Wicked Lady” cannot be attributed to his influence alone. Following Chaplin’s supposed hanging for highway robbery, Ferrers went on undeterred, haunting the aptly named Nomansland Common in the countryside close to her home. Something of an evil Bruce Wayne, she is said to have had a secret room tucked away behind a staircase in her manor, and it was here that she prepared for her raids. Donning the traditional highwayman’s garb—a tricorne hat, a black mask and cloak—she took off each night through a secret exit on the back of a jet black horse. But, unlike other highwaymen, she wasn’t in it for the loot; instead, she appears to have enjoyed the thrill of terrorizing travelers from the darkness, attacking and often brutally murdering her victims. She is also thought to have slain cattle, shot a policeman, and burned down houses with their occupants asleep inside. In 1802, Robert Snooks became the last man in England to be hanged for highway robbery. His real name was actually James Snooks, but his notoriety as a thief meant many people just knew him as that “robber Snooks,” which corrupted over time into “Robert” and stuck even for the inscription on his gravestone. He spent the latter part of his life as a fugitive, and was actually tried in 1799 for the theft of a horse—a crime for which there was ultimately too little evidence to convict. But Snooks’ career-defining criminal caper was the hold-up and robbery of a postal courier in the spring of 1801. Ambushing the Tring Mail on Boxmoor, Hemel Hempstead, he stole several bags of letters from a bewildered post-boy, and many of these were stuffed with high-value banknotes. Unfortunately for him, these proved too incriminating to be spent. He was identified trying to exchange one for some fine cloth in London and a bounty was placed on his head. But this wasn’t the standard £100 parliamentary reward for highwaymen (although that would have been hefty enough); the Postmaster General also put up £200 of his own. Juraj Jánošík (pronounced Yu-ra Yano-sheek) is relatively little known outside of Slovakia. But in his homeland he is venerated as a folk hero, similar to Robin Hood in England—and for much the same reasons as well. He even has his own gleaming, 25-foot statue overlooking the Vrátna Valley ski resort and keeping watch over the village of his birth. As if that wasn’t enough, he has also been depicted on national currency as well as in numerous films. Jánošík was introduced to his ultimate calling through legitimate work as a soldier. Posted as a prison guard at Bytca, he gradually became friends with one of the more notorious convicts, Tomáš Uhorcík, the leader of a band of thieves. It’s unclear whether Jánošík helped his new friend escape, but they met again later on the outside, this time joining forces for a heist. And when Uhorcík decided to settle down with a wife, Jánošík was appointed his successor. Although his career as a criminal was brief, Jánošík rapidly made a name for himself. Knowing firsthand how hard life as a peasant could be, he was always willing to share his spoils with the poor. And, in return, they were usually happy to hide him from the authorities. But after just two years at the top, Jánošík, now aged 25, was captured while visiting his old friend Uhorcík. During the trial that followed, Jánošík’s legendary reputation ultimately contributed to his downfall; dozens of testimonies were given over an arduous, two-month period. Yet despite the merciless torture he was subjected to, he never gave up the names of his accomplices. He even refused to betray them in exchange for a last minute reprieve on the day of his execution, famously saying to his guards: “If you have baked me, so you should eat me!” He then impaled himself on a hook and remained there for three whole days. Apparently, the public uproar was such that guards were unable to remove his body any earlier. Hard to believe that Sawney Beane’s not on the list.